Imagine using a mobile phone application to check the chances of your children getting one of more than 2,000 known diseases. Prospective parents can also predict the likelihood of their children suffering serious genetic diseases before they are born. These and more may soon be possible through an ambitious project to map genetic mutations. The project which identifies gene mutations that cause illnesses is expected to revolutionise the healthcare industry in Malaysia, save lives and reduce the cost of the healthcare budget. The Malaysian node of the Human Variome Project has so far gathered genetic data from more than 1,000 individuals to find markers which cause illnesses such as thalassaemia, various cancers, genetic disorders as well as some 2,000 other diseases. These markers will then be used to calculate the probability a person will be afflicted with any of these diseases so that prevention or early treatment can be provided. This will improve his or her chances of surviving in the case of serious diseases. Renowned geneticist Prof Dr Richard Cotton, the founder of the Human Variome Project, said the collection of data in Malaysia would help improve health in the country and dramatically reduce the healthcare budget. It will also help identify mutations which cause diseases. "If we've got 20,000 genes, each of them can be faulty and we want to collect all that data. "The project is about the faults in the DNA which cause genetic disease in the family. "Thalassaemia is the most common one in this part of the world," he said. He was here for the 10th Asia-Pacific Conference on Human Genetics 2012 (APCHG2012) recently. "It will help prevention, and give the correct diagnosis to a patient." Dr Cotton said the screening had potential to reduce the healthcare budget. Some countries have already been using the technology to great effect. The idea is to have every country collect data within their nation which can then be made public worldwide, said Dr Cotton. "We are trying to get people to put their data in and make it publicly available around the world so that people can use the data. "At the moment, data is not made public... they only have it in their own hospitals. 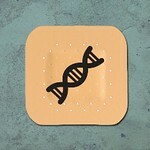 "Eventually, every child will have their DNA sequence on their telephone, in 10 years or so. "When one of them wants to get married and have children, they place their telephones together, and a voice will come out saying you both have a very serious defect and we suggest you see a genetic counsellor. So that's where this project is going. "(In Cyprus, Greece) where thalassemia is concerned, parents know whether they have the carrier disease and the possibility of passing it on to their children. "In Cyprus, genetic screening has reduced the public health budget by about 90%. "If you can do that for thalassemia, there's no reason why you can't do that across the other 20,000 genes." Professor Dr Finlay Macrae, an expert in bowel cancer said the HVP project had a huge potential to save lives. "I was told bowel cancer is the most common cancer among men in Malaysia, and the second most common in women. That means it is the most common cancer overall." He said part of the problem was due to familial inherited risks. "There are single genes that create a very high risk of bowel cancer, in the realm of 50-80 per cent, at a relatively young age, typically in the 20-40 age group." When data is available internationally on the various strains that can cause this type of cancer, steps can be taken to improve the chances of survival. "We are fortunate that we have powerful ways to prevent or at least detect bowel cancer at an early stage. The main tool is colonoscopy, investigating the bowel with a colonscope. "Patients who carry these genes and mutations can reduce their mortality by well over 50 per cent via screening compared with a group that does not accept an offer of screening. "We are in a position to do something in the bowel cancer area. Pre-malignant tumours can be removed and cancers can be treated at an early stage." Thai professor and geneticist Dr Suthat Fucharoen said working together across boundaries to compile genetic data would help make the project a success. It would also be in the spirit of Asean. He said people in Asean countries were quite different from those from other parts of the world genetically. "If you talk about thalassemia, it is completely different from that experienced in the Caucasian, and Mediterranean parts of the world. "So this is something very unique, something that we have to work together, to find out what are the common issues. This will benefit people in the region. "In the Maldives, more than half of the blood in blood banks is consumed by those with thalassaemia. In Thailand, it is 40 per cent. "If we don't do anything, we will go bankrupt. "It is the same in Indonesia, Myanmar and Vietnam." Malaysia established its Human Variome Project node in 2010, under the leadership of Universiti Sains Malaysia's Associate Professor Dr Zilfalil Alwi. "We are hoping to extend our help to countries around the region like Thailand, Vietnam and Brunei. "Malaysia may not be as advanced as Australia, for instance, but we are moving."